The No-Lease Lease Copier Rental Program for Maryland and Washington D.C.
► An Affordable Alternative to Leasing. The No-Lease Lease Copier Scanner Rental Program now available in Lanham, Maryland. Don’t want to commit to a new 60 month copier lease? Introducing the terrificNo-Lease Lease Copier Scanner program. Get everything you would get from a lease but with no commitment! A. All parts, all labor, and all supplies for 5000 Black & White and 1000 Color per month. Paper not included. Q: What is the minimum time that I can rent? A. 30 day minimum. Cancel anytime after that. Q: What options are available? Q: Is there more information on the specifications on the copier rental equipment? A: Yes. You can ask for a brochure here. A. Complete the short No-Lease Lease Copier Scanner Rental Form located Copier Scanner Rental Form below. As the proprietor of a business that depends heavily on making copies of its forms and documents, choosing whether to rent versus lease a copier machine may be your only option considering the high cost of purchasing a copier. While the terms for renting or leasing copier machines can vary widely from company to company, consider the following before making your decision to rent versus lease. Instead of committing yourself to a lease that might last 3 or 5 years, you can find copiers for rent by the week, month or longer if need be. If you simply need a copier because of a temporary event that you are planning, there is no need to go through the expense or commitment that can be involved with a lease. Renting allows you to get the most advanced machines for a very reasonable price. If you choose to rent a copier, you do not have to worry when the machine jams or something goes wrong. A technician can come out to your place of business, or if the machine will take a while to repair, they will usually offer you a temporary replacement so there will be no disruption to your day-to-day copying needs. When considering copiers for rent, all you would be responsible for would be to make your rental payment when it comes due. In a rent versus lease situation, you do not have to lay out a huge sum of money as you might if you were buying or leasing the equipment. 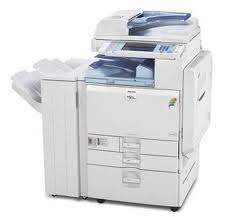 Some rental agreements will allow you to make a set amount of copies for the rental fee, or you can get a copier machine rental that is more flexible and allows you to make as many copies as you like. About the only thing you will have to pay for is the paper. Service and toner are usually provided as part of the rental agreement. Renting does not require a credit check while leasing does. 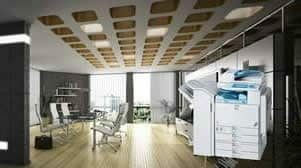 If you are a new business, have poor credit or no credit, you can avoid the embarrassment of being turned down for a lease by electing to rent a copier. Remember that renting is completely tax deductible. You do not have to hire an accountant to figure out depreciation. When it comes time to figure out your taxes, you simply deduct the amount you pay each month to rent the machine along with any other business deductions you may have. Renting a copier can be the best option due to low risk, reduced financial commitment, easy qualification, and accounting simplicity. In this economy where money is tight and credit can be even tighter, rent versus lease seems to work very well for many small businesses and small business owners. To get started in the No-Lease Lease Copier Scanner Rental program please complete the form below. Anticipated Color Volume Per Month * How many color copies and prints will you do think you will do per month?